Hey Whit, I don’t think we have to address each other. But it does a little bit sound nice? Anyway, for dinner last night, I made cauliflower fried rice. I didn’t use a particular recipe–I had read on a couple of food blogs about substituting rice with cauliflower so I did that and then went from there. I borrowed the sauce from the thai curry chicken fried rice recipe (sugar, fish sauce, soy sauce). To the hot wok, I added a little bit of olive oil. When the olive oil was hot, I added 1.5 onion (sliced very thinly), leeks (white parts only, sliced thinly) and cooked for 7-8 minutes until onions were translucent. Added the beef and eggs. Topped the rice with scallions and cilantro. The good: Pretty easy to make and very flexible in terms of what ingredients you use–you can lose/sub in basically anything except the cauliflower since that is the basis of your fried rice. With two heads of cauliflower, I made a good amount of cauliflower rice. It was also easier to move around/mix with the other vegetables (as compared to actual rice). The bad: Cauliflower tends to leak once cooked so be prepared to have a game plan for the moisture. Also, I wanted to add ginger but the bag person at the grocery store forgot to put it in my bag (even though I paid the $0.79 for it). Tragedy. Along with the cauliflower fried rice, we had the simple salad that we used used to make all of the time in college (mixed greens, avocado–DO YOU KNOW THAT KARA BROWN IS ALLERGIC TO AVOCADOS?, cherry tomatoes, and roasted pine nuts drizzled with the pine nut olive oil and balsamic vinegar). The simple salad is such a good go to, and a good alternative to the lemon-based dressing we usually do. OK I think we should tag posts that way we can easily find recipes if we’re in a pinch and looking for something in particular (ie, something good for a group or romantic dinner). 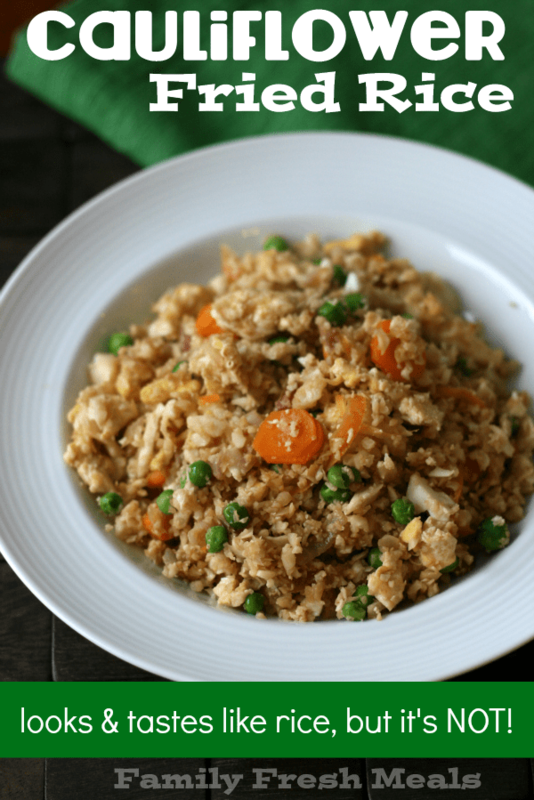 This entry was posted in Uncategorized and tagged cauliflower, fried rice, good for groups, weeknight. Bookmark the permalink. Delicious. It reminds me of a dish my mom and I had at one of the 3 michelin star restaurants in S. Sebastian (we will go there) – called “false risotto”. It was a colorful pinwheel with 5 different colors for the 5 different vegetables, but for each vegetable/color the rice was actually made out of that veggie!